Lead scoring is a methodology used to rank prospects against a scale that represents the perceived value each lead represents to the organization. 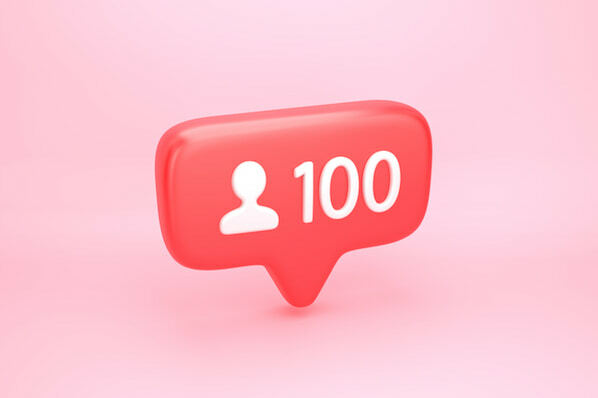 Job position, number of social media followers, or company size may be information valuable to your business about a lead. 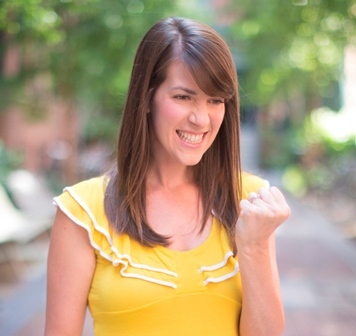 The good news about inbound marketing is that it can help you attract high volumes of leads . The challenge then becomes, how do you separate the good, quality leads from the people who are just starting to look around? That’s where lead management , and specifically, lead scoring comes in. With lead scoring, you can attach values to each of your leads based on their professional information and the behavior they’ve exhibited on your website. For example, you would likely rank a vice president-level lead who has spent time on both your products and pricing page higher than an intern- or coordinator-level lead with the same behavior. You might also rank one VP over another if the first VP has demonstrated a higher level of engagement on your site. ready to talk with a sales person. The more time quality leads spend with your content and the better informed they become, the more likely they’ll be interested in hearing from your sales team. Lead scoring takes thought, knowledge of your business operations, and lead management software to set up, but once it's set, it shouldn’t take much day-to-day management. If you're considering setting up a lead scoring program, here's what you need to know to get started and set up a scoring system that benefits your business. First and foremost, you need to evaluate whether your business is one that would actually benefit from a lead scoring system. The fact is, it's not a must-have for every business, and in many cases, scoring leads can actually be a waste of your time . According to MarketingSherpa's B2B Benchmarking Report , while many are thinking about lead scoring for their business, only 21% of B2B marketers have actually established a lead scoring program. doesn't even have enough leads to begin with, lead scoring is hardly necessary. Instead, your marketing team should be focusing on generating more leads . Does my sales team even call the leads I do send them? Furthermore, do they always complain about bad leads? Lead scoring would probably solve these problems, right? Maybe not. What's more likely in this situation is that you have a sales/marketing alignment issue on your hands. If your business doesn't have a service level agreement (SLA) in place between your sales and marketing teams to clarify how many leads marketing must deliver to sales and how many sales must follow up with, sit down together and create one before you even think about lead scoring. Do I have enough data to implement lead scoring? In order to implement a lead scoring system, you need to have two types of data in place: demographic information captured by conversion forms , and lead intelligence , or behavioral data based on how a lead interacts with your website. Are you collecting the wrong information from your lead gen forms, or failing to track how leads interact with your site using an analytics and lead management platform ? Then you don't have the right data to start lead scoring. If you can answer "yes" to all three of these questions, then there's a good chance your business could benefit from lead scoring, and you should read on. The first thing you'll need to do to set up a lead scoring system is to decide, with your sales organization, which criteria makes for a marketing qualified lead. A marketing qualified lead (or what we geeky marketers like to call an MQL), is a lead who is more likely to become a customer compared to other leads based on their demographic information and their activity on your site before they become a customer. By identifying the individual characteristics that make for an MQL, you can assign point values to each of these qualifications to form the basis of your lead scoring system. 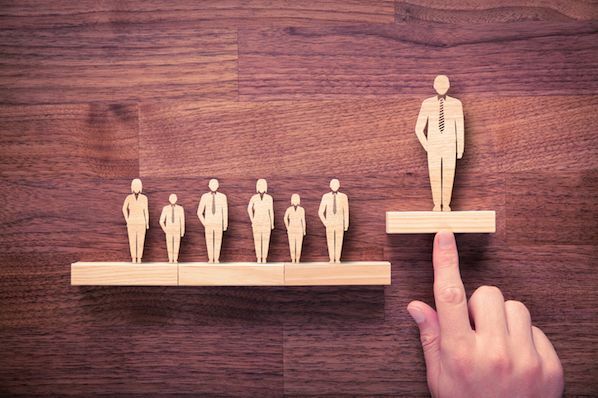 Sit down with your sales managers to determine which demographics, activities, and behaviors make for a marketing qualified lead. First, discuss which demographics are more likely to buy than others. Are they VP-level executives from certain industries? Do they typically represent small or large businesses? This is the information you'll be gathering from your conversion/lead-capture forms. Here's what you should consider, as well as any other criteria that may be important to your business. Next, look at behaviors that indicate a lead's type of interest. Here, you'll need to use your lead intelligence data to conduct some analysis with closed-loop analytics to identify the close rates of each of the conversion events you offer on your website. Next, compare the close rates with one another. You'll want to identify which conversion events had the highest close rates as well as which activities led to those conversion events. (Note: This blog post can help you with this analysis.) Here's a sampling of the different criteria you should evaluate. Now that you've identified and, with your sales organization, agreed on which criteria make for a marketing qualified lead, you can come up with a points system and start assigning point values to each criterion. You can set any point value you’d like, but typically, you'll want to stick to a 0 to 100 scale and weigh the points in relation to how telling they are about a lead’s readiness to talk to a sales rep -- and buy. Let's say, for example, your ideal lead is a decision maker at a mid- to large- sized company (500 to 1,500 employees). And maybe in the past, you've found that before buying, leads have typically visited at least five pages of your website, viewed the pricing page, and downloaded some top-of-the-funnel content. In other words, they’ve done enough research to talk through a decision. Depending on what you've discovered through your MQL analysis, you would weigh each of these qualifications or activities more heavily than others. A company with 800 employees might get ten points, whereas a company with 20 would get one, and a lead that lists “student” might get negative points. Same goes for someone who has downloaded multiple ebooks vs. none. All of a lead's points get added up to determine their individual lead score. Once you've set point values for each of the lead qualification categories listed above, decide at which point a total score would validate sending a lead to your sales team for a conversation. It helps to look at past lead activity when determining this figure, so you know what has historically led to sales conversions. It's important to remember that, because a lead's activity can change from day to day, a lead's individual score will also change over time. For this reason, lead scoring isn't something easily done manually. As mentioned above, you'll need lead management software that enables you to set your lead scoring criteria and auto-score and re-score your leads in real time. 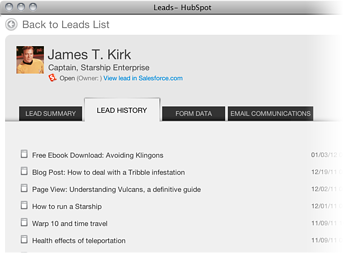 For HubSpot customers, the Lead Management Tool and the Lead Grader App makes this a snap. And depending on your CRM, you could then set up alerts based on your custom lead score to notify your sales team when leads have reached that critical score that makes them sales-ready. Has your business implemented a lead scoring system? How has it improved your marketing and sales processes?